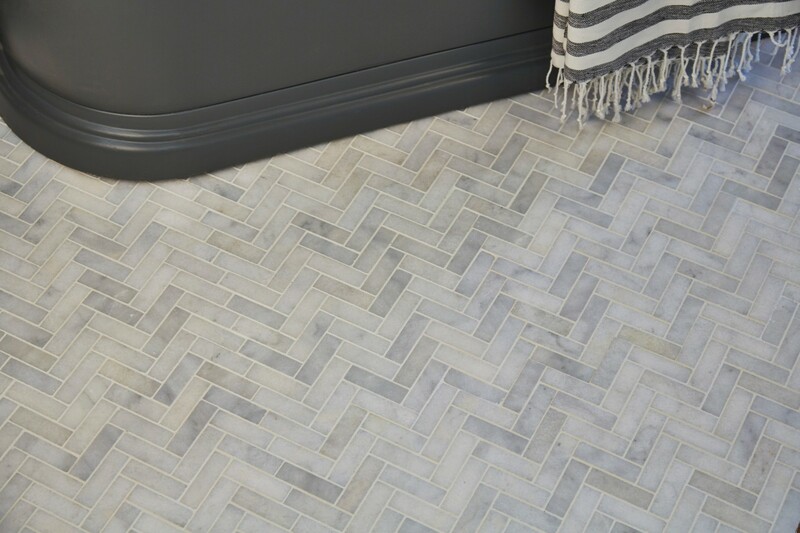 We’re committed to sourcing the best quality flooring material– whether this is natural limestone, marble or man-made materials such as encaustic tiles, high-quality porcelain and mosaics. 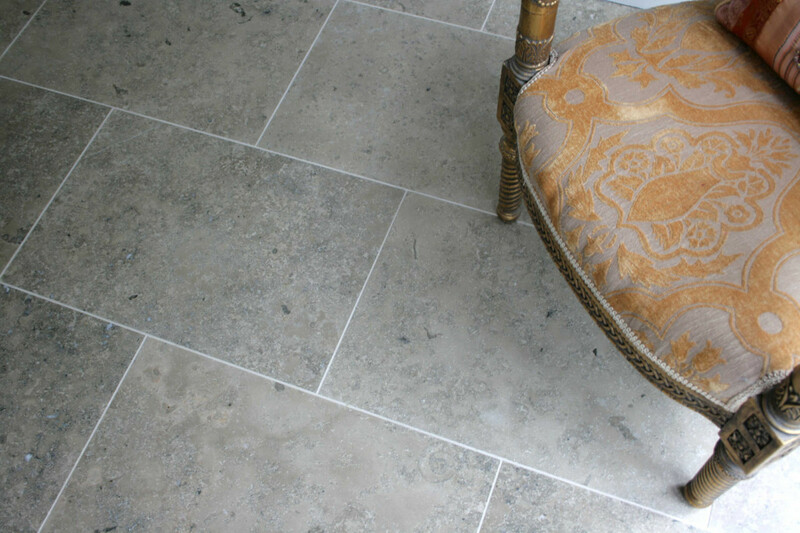 Natural stone flooring is incredibly durable, hygienic and a seriously smart investment. 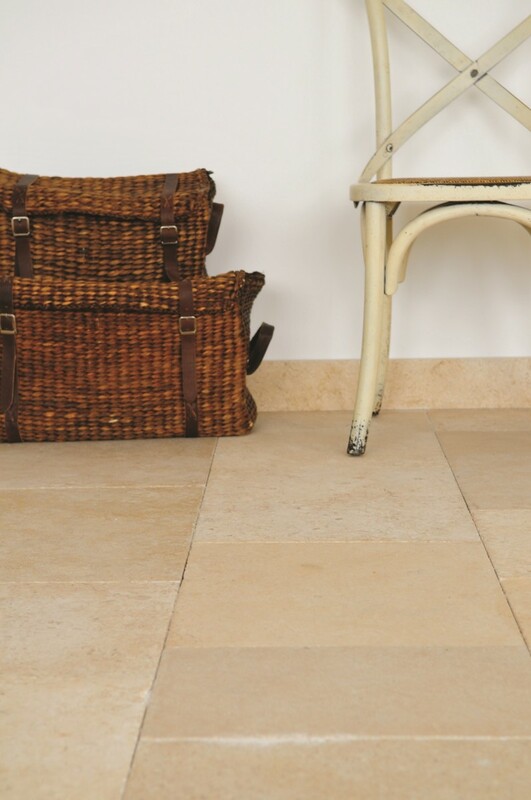 Whether you’re opting for stone flooring in your kitchen, bathroom, hallway or living area, natural stone tiles afford a timeless look, that will compliment any interior space, whether it’s decorated in a traditional or contemporary style. If you’re thinking about a new stone flooring project, we recommend coming to visit our yard and flooring showroom to speak with one of our flooring experts in more detail about the requirements of your project. 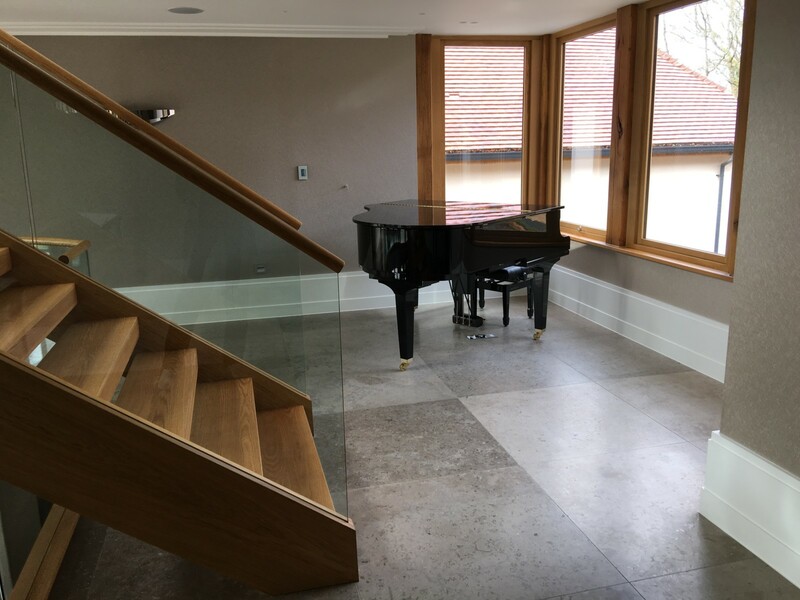 Our highly experienced and specialist flooring team have years of experience delivering beautiful stone flooring and wall cladding in both domestic and commercial spaces. 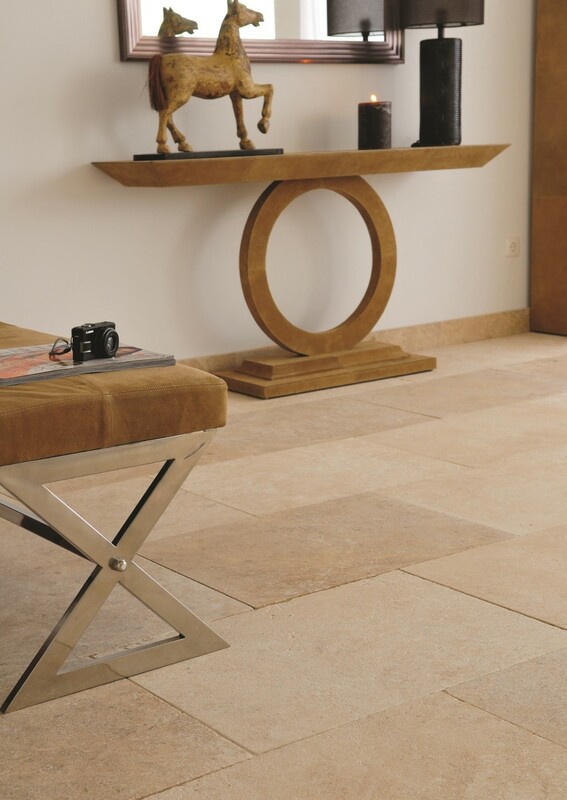 At Landford Stone, We are proud to be an approved retailer of Ca’Pietra, who supply and install beautiful stone flooring. 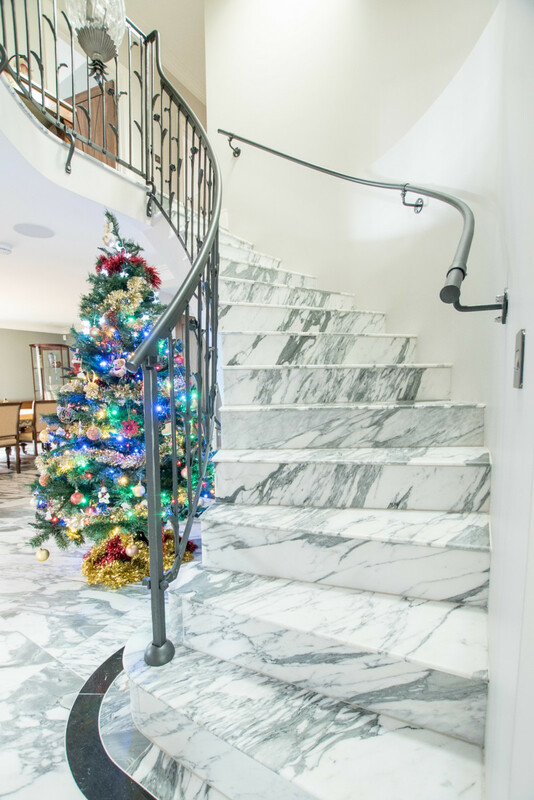 Ca’Pietra have a genuine passion for natural stone and innovative, modern materials. Their mission, just like ours, is to make it as easy as possible for you to use natural stone products within home improvement projects. 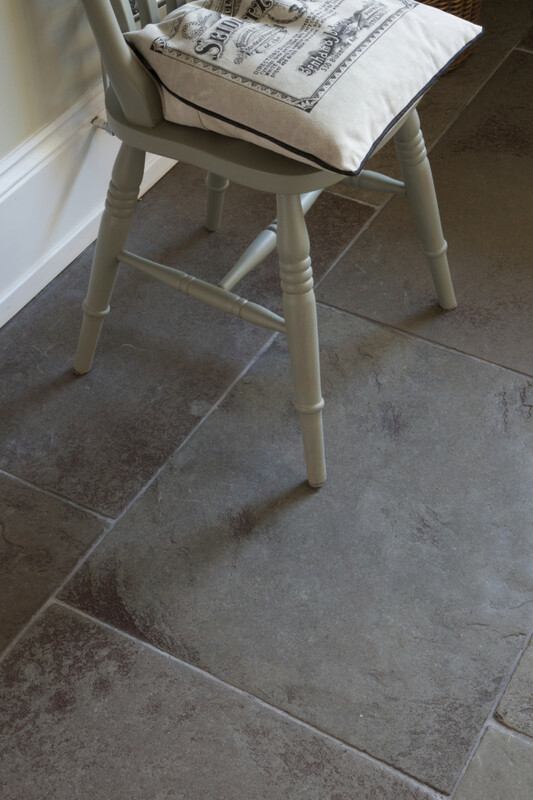 At Landford Stone we will work with you to establish your exact flooring requirements, such as square meters, patterns, delivery and fitting. Free swatch samples can be obtained from Ca’Pietra. Visit Ca’Pietra website for more information. 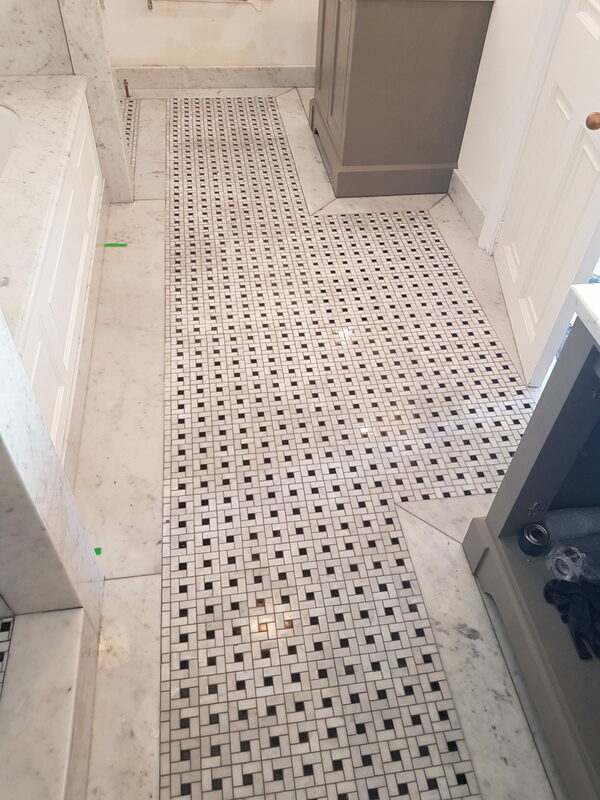 Crema Marfil flooring in book matched marble. This marble flooring work was for a high-end property in Sandbanks, Dorset. Material was Crema Marfil Marble bookmatched 600x600mm and 20mm thick. The tiles ran all-round the bathroom and through to the shower room. 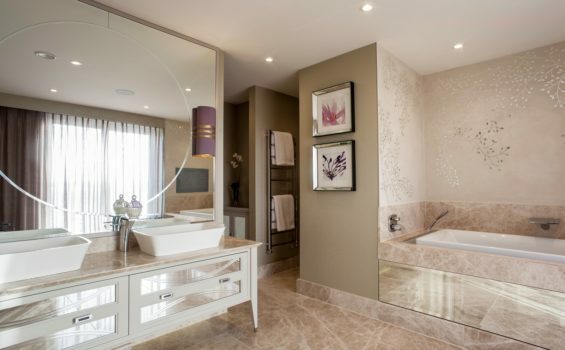 The floor was specially sourced to match perfectly with the bath surround and vanity top.